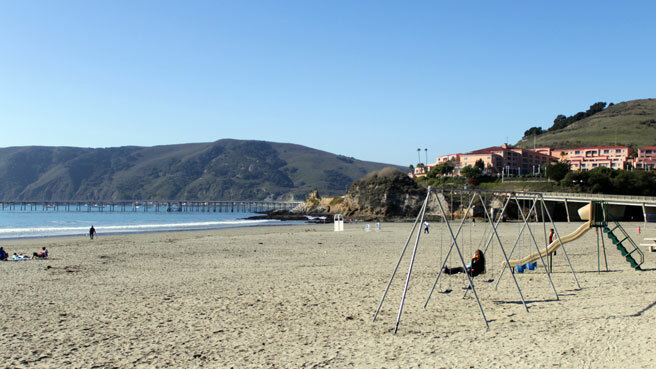 For a quiet, secluded beach vacation with baby, sneak away to Avila Beach where you can enjoy calm waters, swings on the sand and the small-town charm of Avila’s barns and hot springs. While Avila doesn’t have much in the way of amenities, you can always drive a few minutes north to San Luis Obispo for dining and entertainment. Atmosphere: The colorful town of Avila is set against a large hillside and framed by 3 piers, the tourist one, the commercial fishing one and an educational one owned by Cal Poly, San Luis Obispo. The pirate ship playground, seaside slide and gentle waves attract families looking for a serene beach day without distractions. Parking and Entrance: Park along the beach on Front Street and walk down the few steps into the sand. If these free parking spots are full, park in the pay lot in the center of the city or on a side street. Nice Walks and Views: If baby is not mobile, take her in her carrier out to Pirate’s Eye for a scenic view from inside a natural cave. There are no railings here and the cliff drops off, so do not take a toddler here. Drive up Cave Landing Road and park in the dirt lot. If you continue further down the steep hill (not recommended with a baby) you’ll reach Pirate’s Cove, a clothing-optional beach. Activities for Toddlers: Once your toddler gets sick of playing on the cool pirate-ship playground (not likely), take him to the Central Coast Aquarium to learn about marine life or Avila Valley Barn for orchards and seasonal hay rides(closed in winter). Bathrooms: Bathrooms and showers are at the foot of the main pier. Perks for Parents: Play volleyball on the beach or a round of golf at the nearby golf course. If there’s room in the budget for a little relaxation, try a massage and hot mineral soak at Avila Hot Springs. The other parent and baby can hang out at the heated pool, water slides and arcade during the treatment. 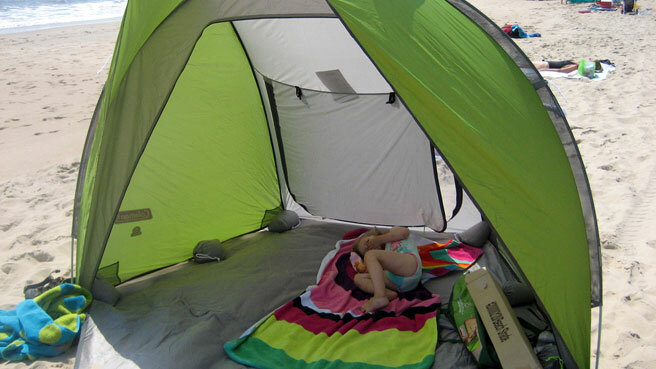 Where to Stay with Kids: Avila Lighthouse Suites has all two-room suites, an oceanview pool and family play areas. Rooms come with a microwave, fridge and complimentary breakfast. 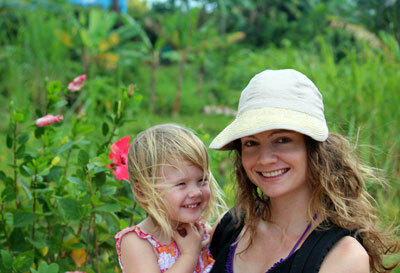 Baby-friendly Restaurants: Avila is not very developed with regard to dining or groceries. For a lively dinner, head north to San Luis Obispo to Firestone Grill, a sports-bar style restaurant with craft beer, great seasoned fries and tri-tip. What Else to Do: Make sure your stay includes a Thursday night so you can see the famous San Luis Obispo Farmer’s Market, complete with live music and BBQ. Once baby’s fallen asleep in the car, see a movie at the Sunset Drive-in. No worries if baby cries during the show, it’s only you guys that will hear her.